Production under its own brand(OEM|ODM). Fixed UV sterilizer for toothbrushes and shaving machines from the best producer from South Korea . AC. Truly a wonderful product for people, who care about their health and the health of their loved ones. Стерилизатор благодаря ультрафиолетовому излучению убивает 99% bacteria. This product has a very high demand in Asia due to high quality and low price. 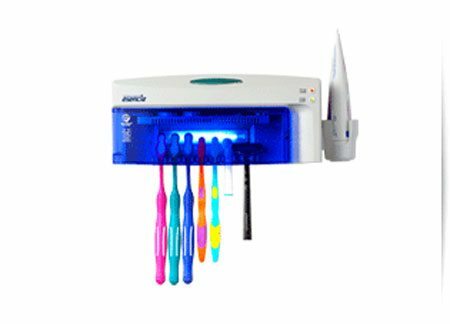 Wholesale purchase home sterilizers toothbrushes and razors from Korea and the possibility of obtaining exclusive rights to distribute. Directly from the manufacturer with no extra charge. Write to us on this product, production of which you want to run in Korea, and our manager will contact you shortly. Write to us about your product or manufacturer, which must be found and our manager will contact you shortly. Write us about a product or service, that you are interested in and our manager will contact you shortly. SUCCESS! Your request has been successfully sent! In the near future, our manager will contact you. Our managers will contact you shortly. If for some reason you can not contact us - email us at request@korexpert.com mail or call +380947116685.